Second Life’s tenth birthday (“SL10B”) opened on Sunday and I was there early on. I wandered around then wandered around with Leanna, then took yesterday off. Today I headed back in comfortable shoes (heh) and started in the Welcome area. I’d noticed something about a history walk and wanted to go check it out, starting at “Beguiled” sim. Wow… it was amazing. I was reminded of how I felt during the 1984 Olympic Games. Then I looked up and it was a double WOW! I had to play with my graphics settings, took the draw distance out to 1024. And whoa! But I still had my eye on that history walk. I was in the mood. I’d read quite a bit about SL history in the book, “Second Life: The Official Guide” (2008). But a lot has changed since then. 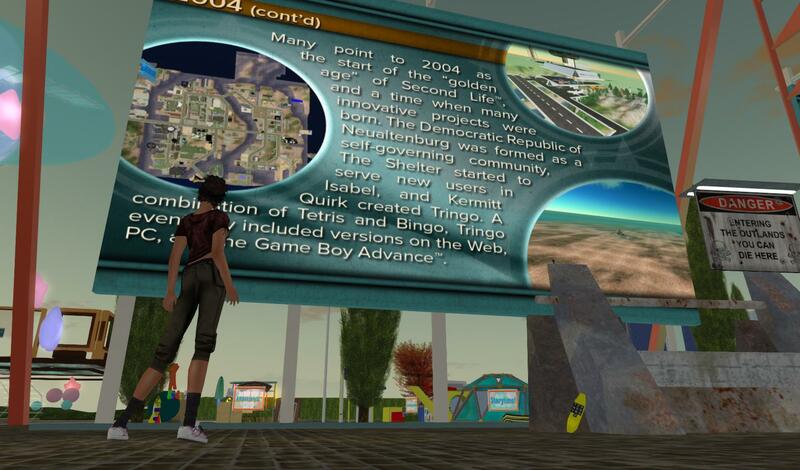 The history starts before Second Life opened it’s doors in 2003. I stopped at each year. I was expecting a lot of rah-rah about SL and no critical commentary. But the creators of the history walk were pretty even handed. chYo! 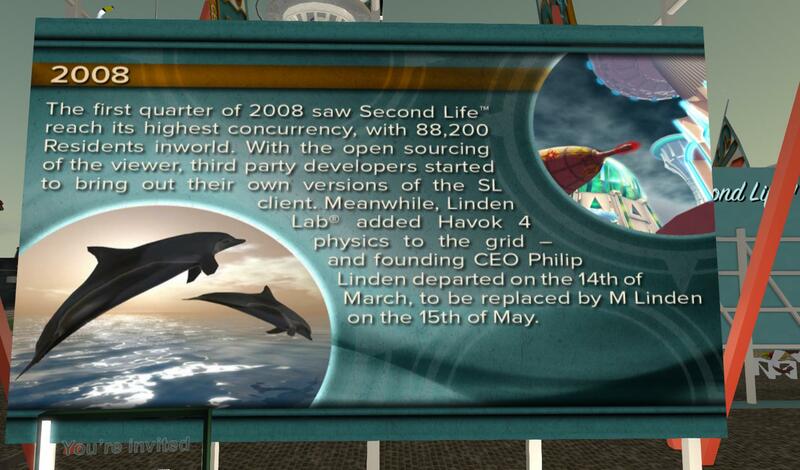 Did you know, in 2008 Second Life reached its all time high concurrency. and that’s about when M Linden took over as CEO. Nuff said. I spent quite a bit of time reminiscing at the history exhibit. I made a note to do some more reading about the subject but by now I had my eye on a little building called Avatar Central. Avatar Central has all kinds of freebies and plenty of nostalgic items. And there she was – “Casual Girl” — the girl I began my second life as in 2007! But I swear I was delighted at my little avatar in that ratty violet top! 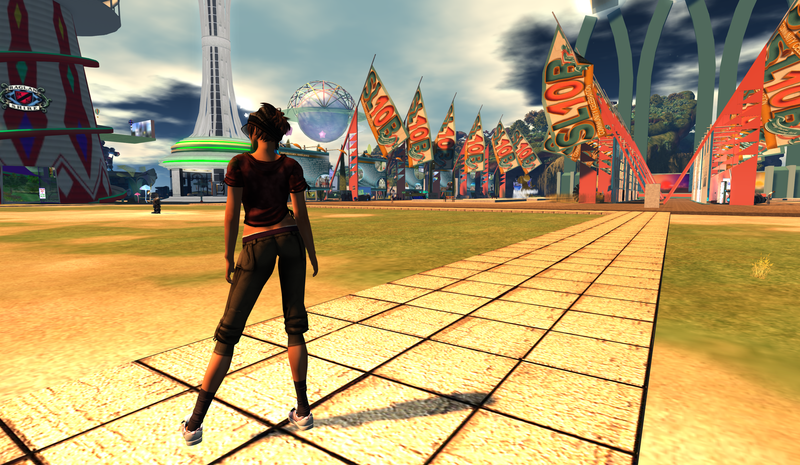 Second Life’s 10th Birthday is the product of a year of planning and a lot of work by many dedicated people. 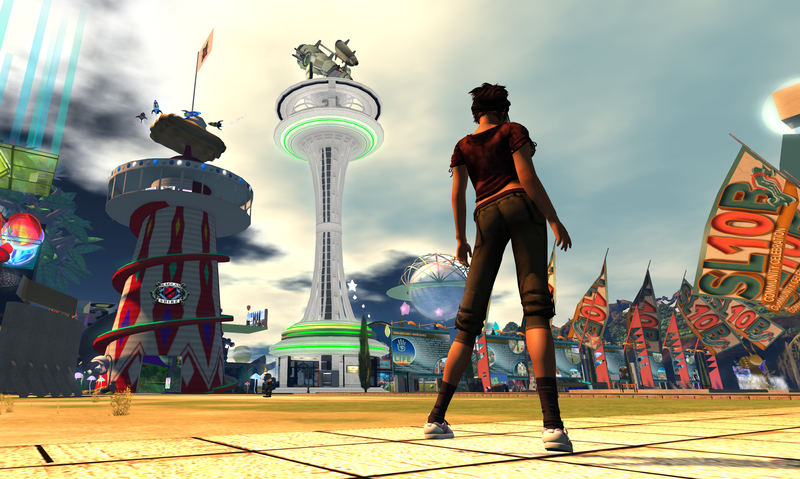 If you have ever belonged to Second Life, it’s time to return and be part of this joyful event. I can’t claim to have attended all the SL b’days of the past but this year is a must see, a must attend. This entry was posted in Events and tagged Community, Events, Linden Lab, Photography, SL10B, Virtual Fantasy Life. Bookmark the permalink.